Don’s Removals & Storage will come in handy when you’re relocating. With so much work to be done and a large number of other things that need to be taken care of, an extra hand will ensure that your stress levels don’t exceed necessary. How do you go about selecting a removalist? This is the first step you will need to take when looking for a Gold Coast removalist. You’ll want to find out what companies are worth your while and which ones you need to steer clear of. The internet as well as recommendations from friends and family members is where you’ll get the best answers. We’ve all got our budgets and this is something that you’ll want to have a clear idea of during a relocation. Knowing just how much you can afford to spend on a removalist will mean that you will know just what removalists are within your range and which ones are too far out of the ‘affordable spectrum’. Another thing that you will want to be aware of is that when selecting a removalist, some companies have hidden fees and charges. In order to avoid being faced with a final bill that you can’t begin to afford, you’ll want to have the company you’re planning on doing business with give you a cost that is not subject to change. 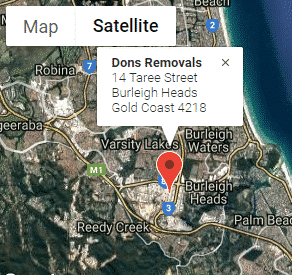 Many of the removal companies on the Gold Coast do not have enough experience. This is common when asking family members and friends for help with moving valuable items and furniture from one place to the next. Of course, a part of the reason you would have opted for a removalist is to acquire the necessary experience for a seamless job. Through deciding on a company that has years of experience under their belt will mean that the likelihood of you dealing with broken items, tardiness and having an overall stressful move, will be relatively low. Is there anything the company is known for doing that is a complete turn off? When researching a company, you don’t only want to get into how much they cost and how many years of experience they have in the removalist business. You will also want to find out what the customer satisfaction rate is like in that company. 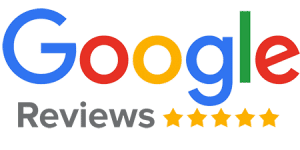 Typically, this information is relatively easy to find out and in order to do so, you’ll want to find reviews of the company. Look for unsatisfied customers and see what their biggest problem with the company was. Having this information will allow you to get a better idea of what companies should be at the bottom of your list as well as what companies should be at the top of your list. If you’re going to be in need of help with packing and packaging your items rather than solely transporting them, you’ll want to opt for a company that can give you the entire package. Through doing so, you’ll avoid having a large number of people in and out of your home, and in general, you’ll be able to minimize the amount of chaos going on at this already stressful time. Especially where valuable items are concerned, you will want to ensure that they are offered the maximum amount of security during their time of travel. If you’re at all uncertain as to how a certain item needs to be packaged for transportation, then it’s best left in the hands of a professional. Many removalists who offer packaging will also provide materials for packaging and thus, they will have their own boxes, Styrofoam, wrapping paper, bubble wrap etc.